Throughout much of known human history and prehistory, tuberculosis (TB) has surged and receded along a time scale that challenges much of the accepted scientific understanding of typical epidemic cycles of infectious diseases. Written records of TB appear in Greek literature dating as far back as 460 BCE, with Hippocrates’ description of “phthisis” as the most widespread, almost always fatal, disease at the time1. Since Benjamin Marten’s 1720 conjecture that TB might be spread by “minute living creatures,” 2 the medical community has come a long way in its understanding and treatment of the disease. Despite a collective worldwide effort to end TB, such as the 2035 WHO milestone which aims to reduce TB deaths by ninety-five percent and TB incidence by ninety-percent, many global programs neglect to adequately address the incidence and prevention of primary drug-resistant TB, if at all.7 Additionally, eradication efforts are further complicated by the recent emergence of a strain of totally drug-resistant TB (TDR- or XXDR-TB), which is resistant to all first-line and second-line anti-TB agents,13 as well as the current coepidemics of TB and HIV/AIDS in African countries, which were predicted to fuel each other to “crisis proportions” in a recent study.14 The most essential elements in the fight against drug-resistant TB are expansion of preventative treatment, more comprehensive global TB data, increases in TB funding, and major advancements in clinical research. 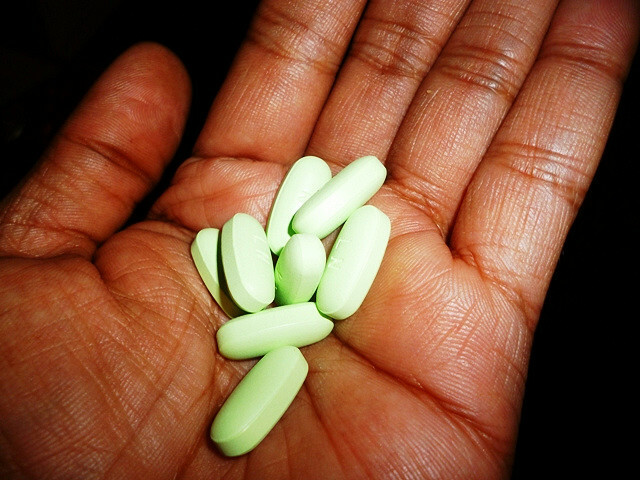 A handful of antibiotics. Source: Flickr. In 2015, only 7% of HIV-positive individuals eligible for preventative TB treatment were started on a treatment course.10 These numbers leave the door wide open to major improvements in access to preventative TB measures. Similarly, one of the most essential elements in drug-resistant TB eradication efforts is drastically improved data on global TB rates. 2015 marked the first year that 10 countries, including Kenya, reported data for rates of TB preventative treatment given. Although this trend is promising, more than two-thirds of the countries with the highest rates of TB in HIV-positive individuals did not report any quantitative data concerning the disease.10 Until we can implement national “notification and vital registration systems” as outlined in the 2016 WHO Global TB Report, comprehensive data from each country through prevalence surveys will be invaluable; not only does it provide crucial information regarding the relative burden each nation faces, but it allows for tailored TB eradication efforts specific to each nation’s situation.10 For example, the most recent Global TB Report showed six nations, India, Indonesia, China, Nigeria, Pakistan, and South Africa, were responsible for 60% of 10.4 million new TB cases in 2015 worldwide. As a result, the WHO has been able to give special attention to targeting the current state of TB prevalence in these nations when designing their future efforts in TB eradication. Lastly, substantial progress in TB-related clinical research is essential to the reduction of drug-resistant TB. Until the development of a universal TB vaccine that protects against all strains of TB, research efforts in drug susceptibility testing and the development of effective second-line drugs to treat MDR-TB and XDR-TB will prove essential. Despite a challenging situation, current efforts to eliminate TB are promising. Since 1990, global TB mortality rates have fallen by 47%.15 Additionally, increasing efficacy in diagnosis and treatment of TB has saved over 49 million lives since 2000.10 Current TB research shows great potential for drastically shortening treatment times and minimizing debilitating side effects for individuals with drug-resistant TB.16 Although drug-resistant TB is an exceptionally complex issue in global health, as eradication efforts and advancements in medical research continue, we will be able to look forward to a TB-free future. Sarah Spaulding is a junior in Jonathan Edwards College double majoring in Environmental Engineering and Ecology & Evolutionary Biology. Contact her at sarah.spaulding@yale.edu. CDC. (2013, January ). 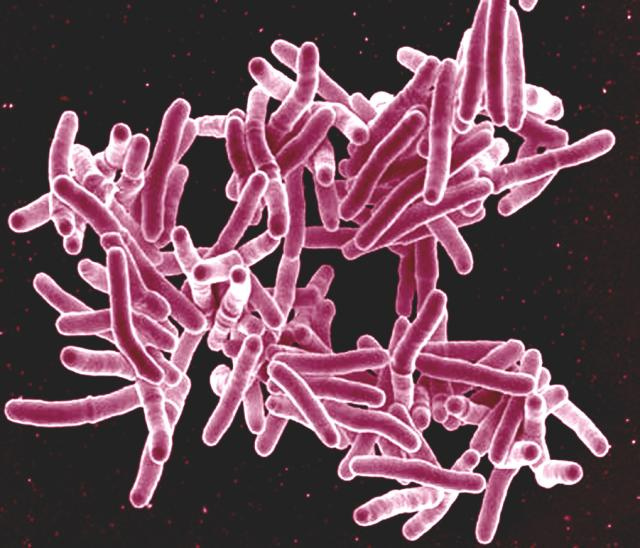 TB Elimination: Extensively Drug-Resistant Tuberculosis (XDR TB). Retrieved March 6, 2017, from Centers for Disease Control and Prevention. WHO. (2016). 2016 Global Tuberculosis Report. Retrieved March 6, 2017, from World Health Organization. CDC. (2016, October). The Costly Burden of Drug-Resistant TB in the U.S. Retrieved March 6, 2017, from Centers for Disease Control and Prevention. WHO. (2015). 2015 Global Tuberculosis Report. Retrieved March 6, 2017, from World Health Organization.